Amy Solana has been with PNNL since 2002, and has been located in the Portland office since 2004. She works primarily with DOD, analyzing potential for and supporting net zero energy, water, and waste; implementing renewable energy projects; and maximizing efficiency opportunities in buildings and across installations. Her work involves project implementation support, technical support, technical and economic analyses, on-site audits, project feasibility assessments, and project prioritization and planning. Recently, she has combined her experience with energy, water, and waste to lead net zero efforts for the Army Reserve, including designing and implementing a net zero energy, water, and waste pilot program for Reserve Centers. Amy has worked with the Army and Air Force since 2008 conducting renewable energy assessments including the entire suite of renewable resources, but focusing on biomass and waste-to-energy technologies. She assisted the Logistics Innovation Agency in characterizing waste generated for potential use in waste-to-energy systems at contingency bases overseas. Prior to renewables work, she primarily audited and modeled buildings and installations to identify energy efficiency opportunities, using the Facility Energy Decision System (FEDS). 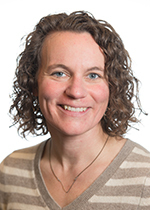 Amy has developed water management plans for DOE sites, conducted water audits and analyzed water efficiency opportunities for DOE and DOD, and co-authored articles on water efficiency for the Encyclopedia of Energy Engineering. Amy also has experience with green building research and design, including greening construction specifications; Utility Energy Service Contracts (UESCs) and other efficiency project funding mechanisms; and emerging technologies.